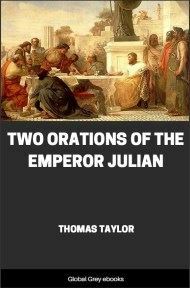 Fully illustrated, this is Thomas Taylor's essay on the ancient initiation rituals of Eleusis and Bacchus. The inner teachings of these ancient Mediterranean mystery religions have been lost for two millennia, but Taylor believed that he had found the skeleton key in classical mythology and Plato's philosophy. This influential essay outlines his theory. Chapters include: Fable Is Love's World, Poem By Schiller; Introduction To The Third Edition; Section 1. Eleusinian Mysteries; Section 2. Bacchic Mysteries; Hymn To Minerva; Appendix; Orphic Hymns; Hymn Of Cleanthes; and, Glossary. 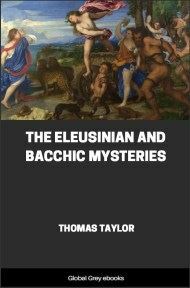 In offering to the public a new edition of Mr. Thomas Taylor’s admirable treatise upon the Eleusinian and Bacchic Mysteries, it is proper to insert a few words of explanation. These observances once represented the spiritual life of Greece, and were considered for two thousand years and more the appointed means for regeneration through an interior union with the Divine Essence. However absurd, or even offensive they may seem to us, we should therefore hesitate long before we venture to lay desecrating hands on what others have esteemed holy. 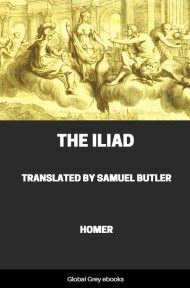 We can learn a valuable lesson in this regard from the Grecian and Roman writers, who had learned to treat the popular religious rites with mirth, but always considered the Eleusinian Mysteries with the deepest reverence. It is ignorance which leads to profanation. Men ridicule what they do not properly understand. Alcibiades was drunk when he ventured to touch what his countrymen deemed sacred. The undercurrent of this world is set toward one goal; and inside of human credulity—call it human weakness, if you please—is a power almost infinite, a holy faith capable of apprehending the supremest truths of all Existence. The veriest dreams of life, pertaining as they do to “the minor mystery of death,” have in them more than external fact can reach or explain; and Myth, however much she is proved to be a child of Earth, is also received among men as the child of Heaven. The Cinder-Wench of the ashes will become the Cinderella of the Palace, and be wedded to the King’s Son. 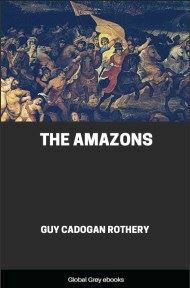 These were the most celebrated of all the sacred orgies, and were called, by way of eminence, The Mysteries. Although exhibiting apparently the features of an Eastern origin, they were evidently copied from the rites of Isis in Egypt, an idea of which, more or less correct, may be found in The Metamorphoses of Apuleius and The Epicurean by Thomas Moore. Every act, rite, and person engaged in them was symbolical; and the individual revealing them was put to death without mercy. So also was any uninitiated person who happened to be present. 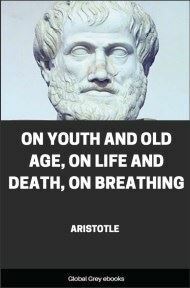 Persons of all ages and both sexes were initiated; and neglect in this respect, as in the case of Socrates, was regarded as impious and atheistical. It was required of all candidates that they should be first admitted at the Mikra or Lesser Mysteries of Agræ, by a process of fasting called purification, after which they were styled mystæ, or initiates. A year later, they might enter the higher degree. In this they learned the aporrheta, or secret meaning of the rites, and were thenceforth denominated ephori, or epoptæ. To some of the interior mysteries, however, only a very select number obtained admission. From these were taken all the ministers of holy rites. The Hierophant who presided was bound to celibacy, and required to devote his entire life to his sacred office. He had three assistants,—the torch-bearer, the kerux or crier, and the minister at the altar. There were also a basileus or king, who was an archon of Athens, four curators, elected by suffrage, and ten to offer sacrifices. The sacred Orgies were celebrated on every fifth year; and began on the 15th of the month Boëdromian or September. The first day was styled the agurmos or assembly, because the worshipers then convened. The second was the day of purification, called also aladé mystai, from the proclamation: “To the sea, initiated ones!” The third day was the day of sacrifices; for which purpose were offered a mullet and barley from a field in Eleusis. The officiating persons were forbidden to taste of either; the offering was for Achtheia (the sorrowing one, Demeter) alone. On the fourth day was a solemn procession. The kalathos or sacred basket was borne, followed by women, cistæ or chests in which were sesamum, carded wool, salt, pomegranates, poppies,—also thyrsi, a serpent, boughs of ivy, cakes, etc. The fifth day was denominated the day of torches. In the evening were torchlight processions and much tumult. The sixth was a great occasion. The statue of Iacchus, the son of Zeus and Demeter, was brought from Athens, by the Iacchogoroi, all crowned with myrtle. In the way was heard only an uproar of singing and the beating of brazen kettles, as the votaries danced and ran along. The image was borne “through the sacred Gate, along the sacred way, halting by the sacred fig-tree (all sacred, mark you, from Eleusinian associations), where the procession rests, and then moves on to the bridge over the Cephissus, where again it rests, and where the expression of the wildest grief gives place to the trifling farce,—even as Demeter, in the midst of her grief, smiled at the levity of Iambé in the palace of Celeus. Through the ‘mystical entrance’ we enter Eleusis. On the seventh day games are celebrated; and to the victor is given a measure of barley,—as it were a gift direct from the hand of the goddess. The eighth is sacred to Æsculapius, the Divine Physician, who heals all diseases; and in the evening is performed the initiatory ritual.